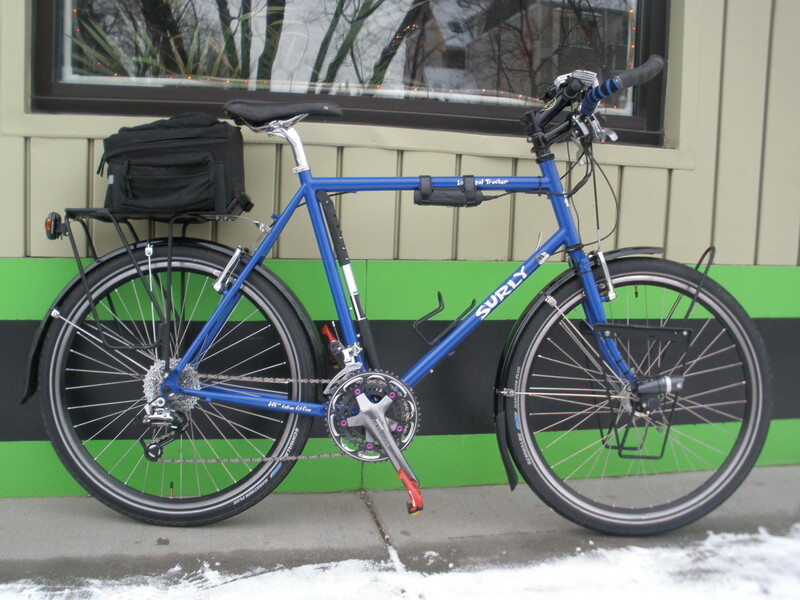 Highlights of my latest custom build - not a folding bike but an adventure bike for sure. From time to time I get the urge to build something out of nothing. Well not literally nothing... I like to use up a bunch of spare parts to build something interesting and lust-worthy. 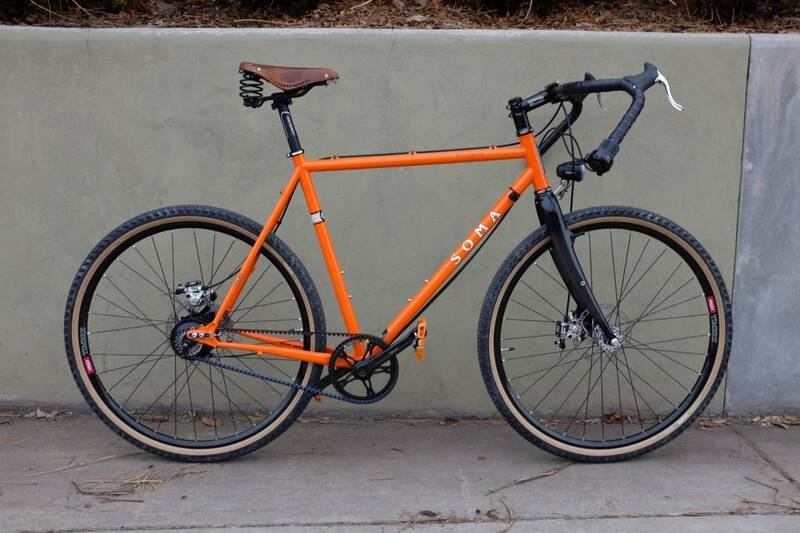 This is the story behind my Soma Wolverine. Fast forward seven years and it is time to build another dream bike. I've always loved internally geared hubs but never had the bank account for a Rolhoff. Currently I'm running Shimano's crown jewel, the Alfine 11-speed IGH, on my daily commuter and love the ease and simplicity of not having to mess with external gear systems. I consider the Alfine 11 to be the poor-mans Rohloff. The Rohloff is the king of internally geared hubs. Built in Germany and beautifully executed, the Rohloff has 14 evenly spaced gears and as a testament to German engineering, doesn't have the efficiency losses normally found with internally geared hubs. 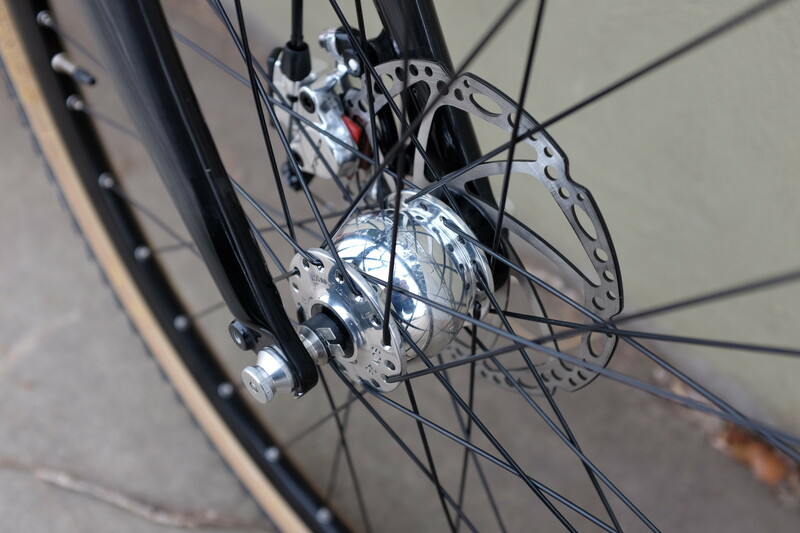 I've also come to love carbon belt drives as an improvement on the standard bicycle chain. 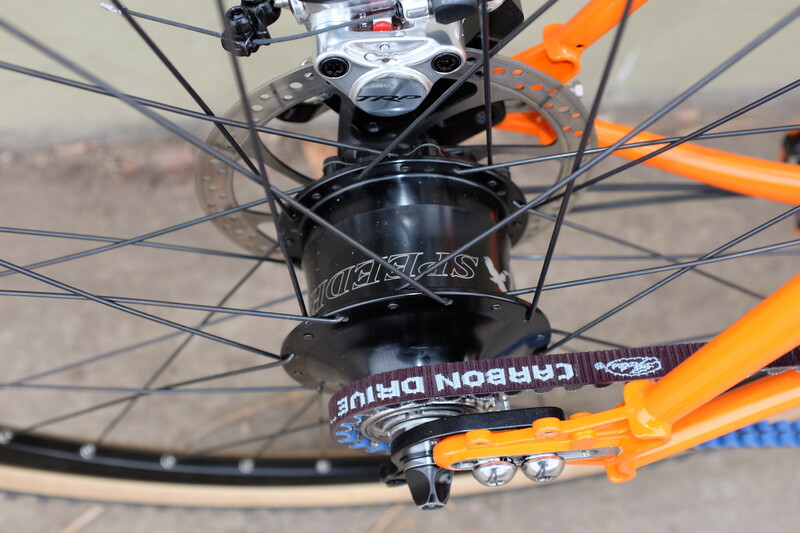 Gates, based in Golden, CO, has developed a carbon belt system for bicycles that is clean, quiet and very lightweight - All things you don't normally associate with bike chains. Unlike a chain, which can be broken apart to thread it onto the frame, belts are one continuous piece. In order to get the belt onto the frame, the Wolverine utilized a joint in the right-hand seat stay. 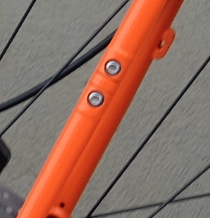 By unbolting the joint, you can thread the belt onto the rear triangle of the frame. Belts also require a specific tension for proper function. 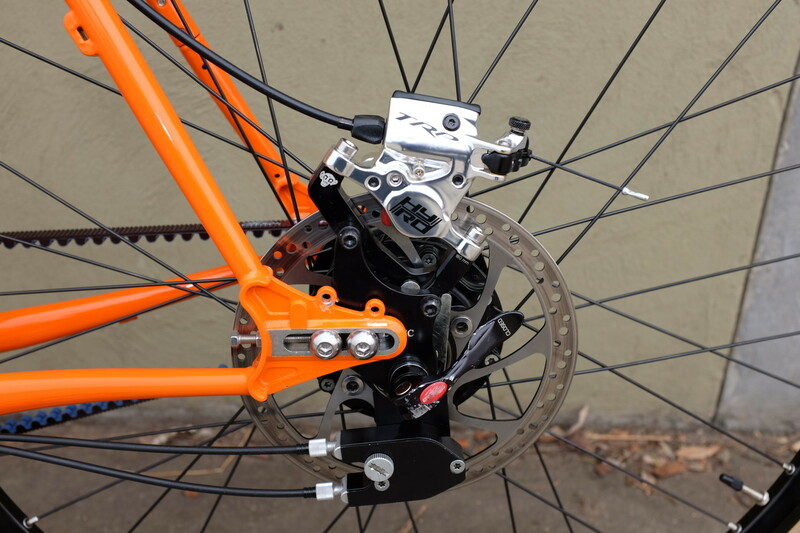 To achieve the proper tension, the rear dropouts on the Wolverine frame are adjustable. In the seven years since I built my last dream bike, there a few new categories of bicycles - Adventure Touring and Gravel Grinding. While both of those concepts existed in the hearts of enthusiasts, the marketing departments hadn't yet caught on. Now they have and products have sprung up to fill the growing demand. The Wolverine is one of those products. It starts as a frame and then your imagination takes over - tempered somewhat by your bank account. This Wolverine is a product of my imagination and a current manifestation of my continued dream. Dynamo powered lights have been around almost as long as the bicycle but nobody does dynamos better than the German conpany Schmidt with their SON line of dynamo hubs. Smooth, quiet, efficient and stunningly beautiful. Enough said? Braking systems have come a long way in the last decade as well. 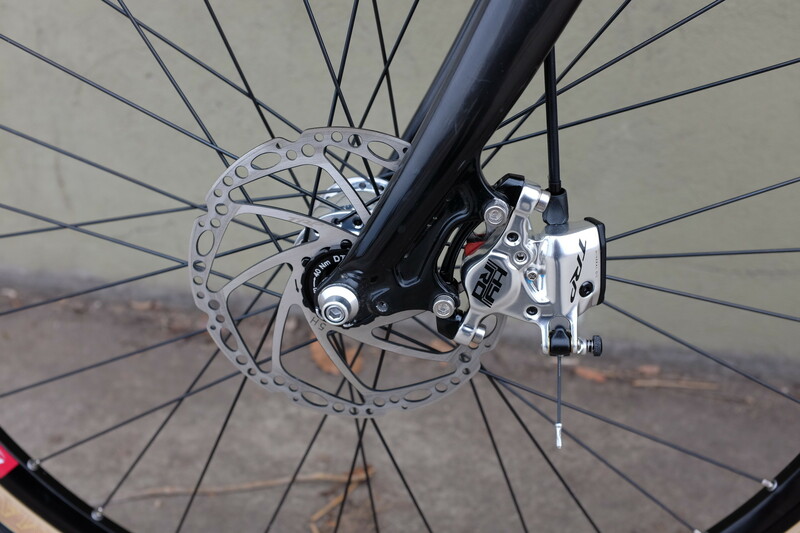 Disc brakes are now becoming standard on road bicycles and for good reason - they are very powerful and easy to operate, even if you have diminished hand strength. For this bike I chose TRP's hybrid system called the HY/RD, which marries standard cable actuation with a hydraulic caliper. With this system, if you have trouble with the cables you simply replace them with parts found at any bike shop anywhere in the world. If, on the other hand, you have cable issues with a full hydraulic system, you could easily find yourself out of luck. I'm anxious to ride this bike, and would love to call it my own, but in the end, some other lucky person will get to put the miles on it. Weight, for those that care, for this bike as shown is just under 29 pounds. The saddle is quite heavy so you could drop a pound or so just by changing that out.